After a trip to the beach, return to your spacious room at the Country Inn & Suites in Pinellas Park, FL to post photos of your vacation on social media using our free Wi-Fi. To refuel after a day in the sun, grab a cold drink from the refrigerator or heat up a snack in the microwave. Watching your favorite show on the 32-inch LCD TV is a great way to end the night with your family. In the morning, hop in the granite shower to get ready, and then plan the rest of your itinerary at the work desk. 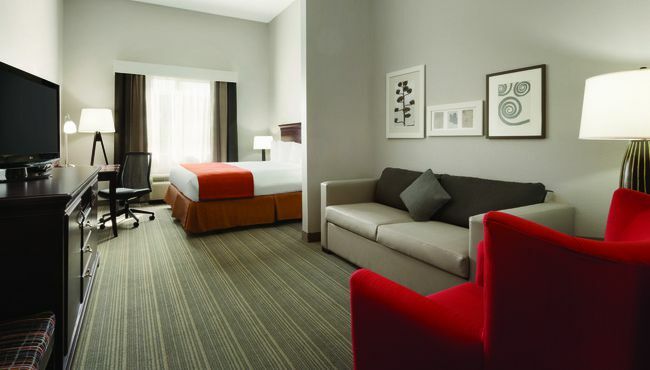 Adjoining and accessible hotel rooms are available upon request, and each room is FEMA- and ADA-approved. 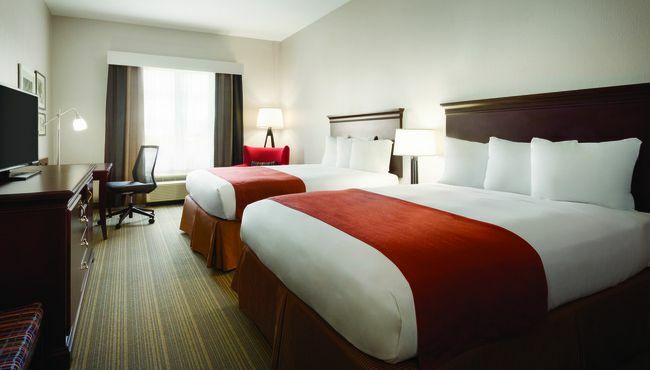 These comfortable rooms come equipped with one king-size bed or two queen-size beds and all standard amenities, including free Wi-Fi and an LCD TV. Featuring an open concept floor plan and a king-size Serta pillowtop bed, our Studio Suite is perfect for stretching out and relaxing. 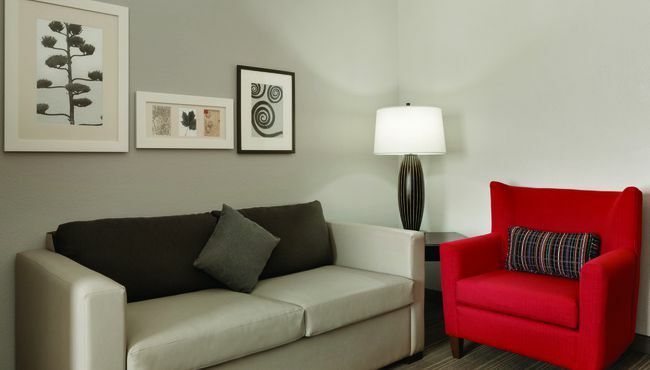 In addition to the standard amenities, this option includes a sleeper sofa and a larger TV. Spread out on the king-size bed in the private bedroom or on the sleeper sofa in the separate living room in this comfy suite. Both areas feature an upgraded TV in addition to the standard amenities. 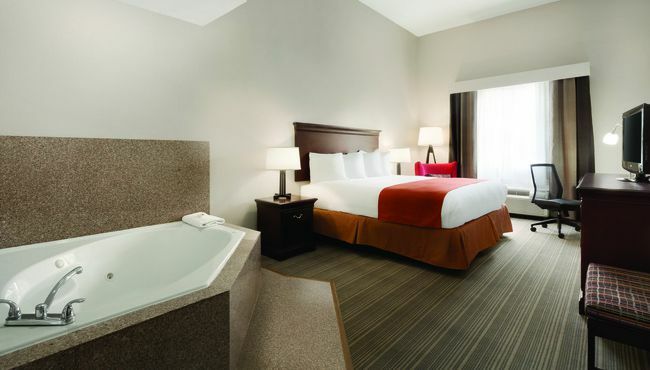 For a special getaway, book this suite with an in-room whirlpool tub. 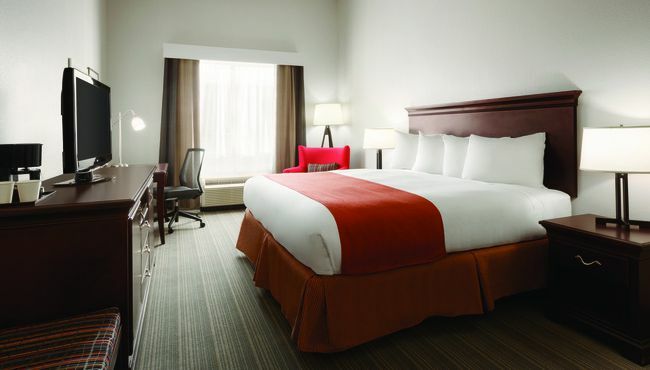 After a soothing soak, curl up in the king-size bed. 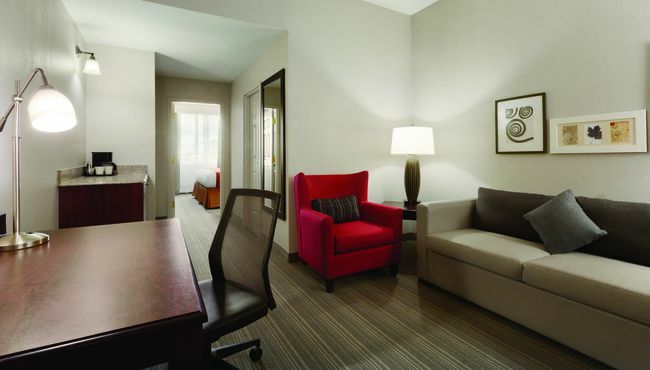 Whirlpool Suites also include all standard amenities and a larger TV.